Bob Costas, one of the best sportscasters in the business, will be hosting and calling Super Bowl XLIX. Some of his comments will be scripted, of course, but the interviews will not be and that’s where you can learn a valuable lesson in public speaking. 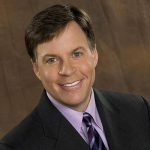 It’s nearly impossible to hear Bob Costas use filler words such as “I mean,” “you know,” “like,” “uh,” and “um.” Even in casual conversations, he rarely, if ever, break his train of thought with filler words. His answers are clear, concise, and nearly completely free of filler words. Excessive filler words are irritating at best and a public-speaking disaster at worst. It’s also one of the simplest habits to eliminate.